AIM: to help 380 disadvantaged women/girls, and their 986 children, become more independent through new skills and knowledge. Since the 1990s politics and society in Mongolia have dramatically changed, becoming more democratic and humanitarian. As a result there has been significant improvements in living conditions and opportunities. However, whilst the population generally has benefitted, it has led to a wider gap between the rich and the poor. Not surprisingly, many of those disadvantaged are from single parent female-headed households, orphaned children, the elderly and the disabled. 2700 women/girls lived below the poverty line. 1685 women could not find work because of lack of education. Mongolia places much value on higher education, especially for females, so those females without degrees have few opportunities. 380 have continued their association with the Bright Light Organisation, some now in leadership roles. It’s not only the lack of opportunities, education, disability that prevents these women/girls from finding employment, but emotional issues, lack of a social network, lack of confidence worsen their situation. Also, there is no pension for those who retire without any savings. Based on the participants’ ability and interests, the Organisation will help set up a system to teach participants how to manufacture goods, which are often arts and crafts, how to sell them and how to save money. The aim is that with their improved independence, they can then contribute back to society. Funds rely on the organisers lobbying peak NGOs (non-government organisations), particularly those who support women’s rights, and also seeking any private sponsorship. Unfortunately there is no government assistance. Lack of money is the main obstacle to the success of the project. Whilst there are “staff “ to teach the skills, starting materials and equipment need to be bought. Also lack of childcare can prevent women from participating. Teaching participants how to make items, and how to sell items, including maintaining high quality. e.g. Teaching beadwork and how it can be used to embroider and decorate knitwear. Establishment of childcare facilities, or at least communities where children feel safe without parents. 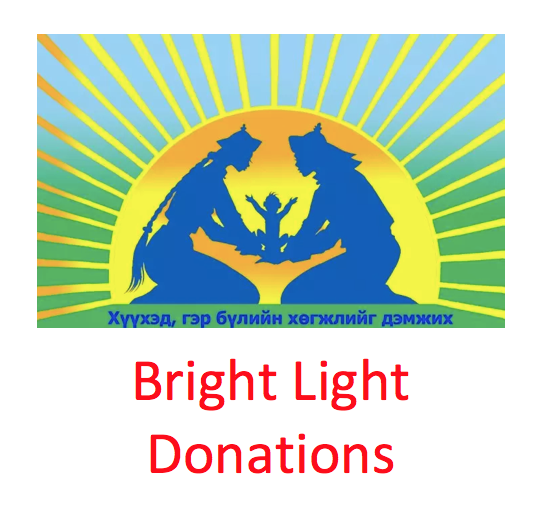 Posted in Supporting Bright Light on December 16, 2015 by Admin.